Throughout the month of March and the beginning of April, students running for class officers and student council are campaigning, being interviewed, and preparing for the upcoming elections. On April 15, the current freshmen, sophomores, and juniors will vote for their next year class officers, and on March 26, they will vote on next year’s student council. Students elected to a class officer position are in charge of planning events that might benefit their grade and using their voice to promote positive, effective change in the school. Likewise, the members of student council, now called the executive board, deal with school-wide concerns such as sweepstakes, announcements, and other major events. This year, juniors Gabby Pluszczynski, Caitlin Flynn, Macey Earle, Suha Qashou, and Katherine Broderick are all in the running for the executive board, hoping to use their prior experience on class officer boards to become the new leaders of the school. Pluszczynski says being a leader, whether as class officer or on the executive board, is an incredibly rewarding experience because it is the best way to get involved, voice your opinion, and advocate for others as well as yourself. 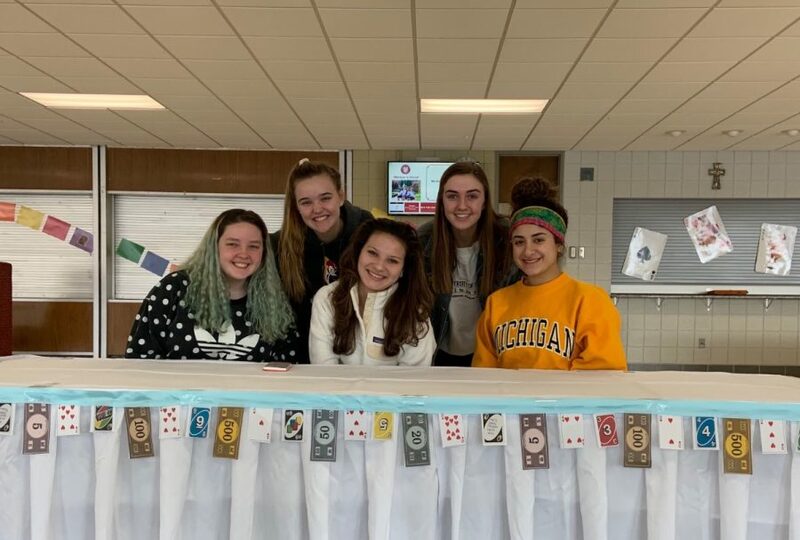 In past years, class officers have successfully organized the Daddy Daughter Dance, a major source of money that benefits the current junior class’ prom. According to Pluszczynski, the dance has been cancelled many times in the past, but the moderators and officers worked very hard this past year to promote the dance better and to have a successful outcome that would motivate students to attend in the future. The executive board and class officers, once elected in the next few weeks, will begin preparations for next year’s activities, events, and possible opportunities for school-wide service. All students are encouraged to vote in the next several weeks for their class officers and executive board for the candidates they think best represent the Mercy student body.